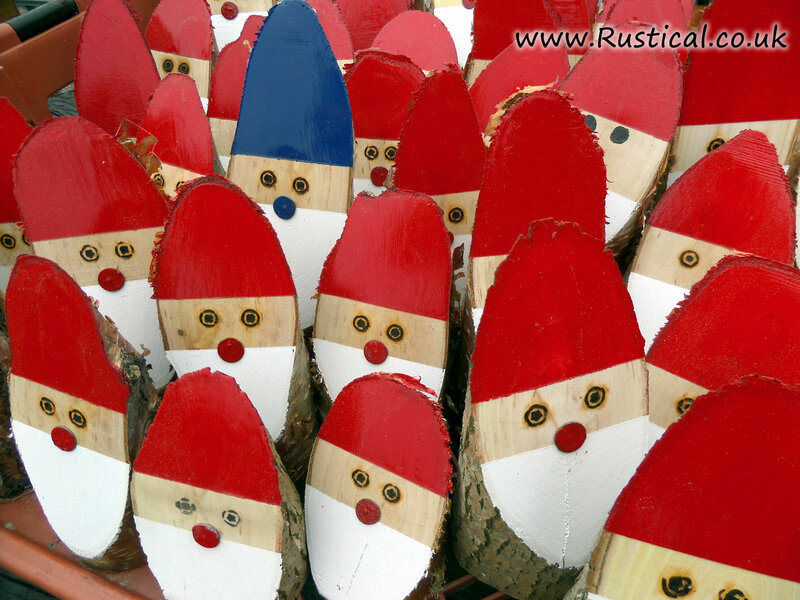 Our Rustic Santas are once again being packed ready for the Christmas markets. 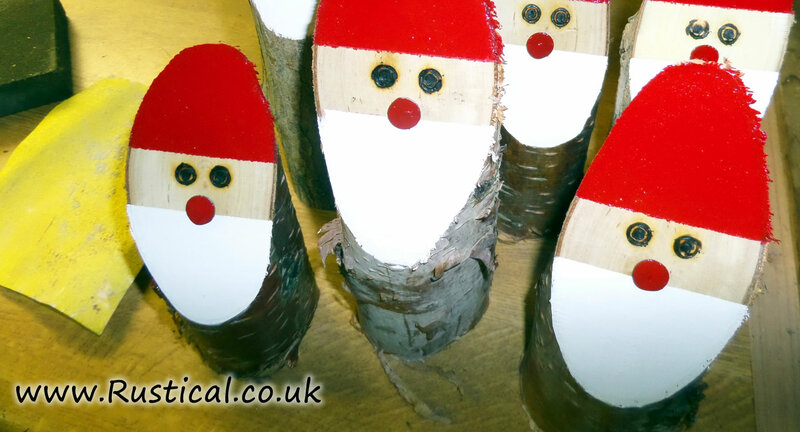 Every Santa is made from our own home grown timber (mainly Silver Birch) which has been fully seasoned so they will not leave a mark on the table cloth. Each one is individually made so no two Santa’s are the same. Due to popular demand we have made a few Everton Santa’s but they do look lonely! It might sound daft, but it is disconcerting closing the lid and sealing the box with all those eyes watching. 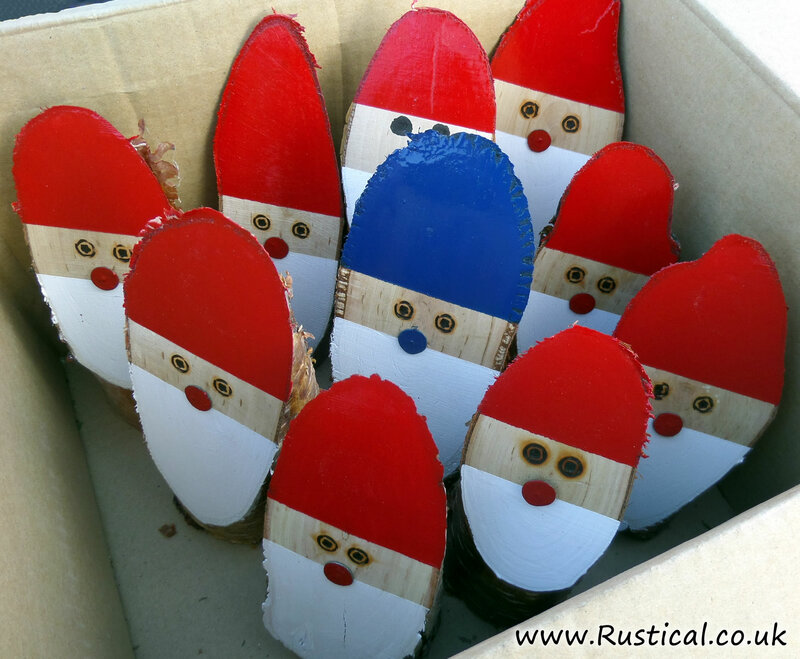 These are an easy project for all ages and we do sell the unpainted blanks for you to decorate if you don’t want the kids using a 3 phase bandsaw! With enough notice, we can also supply large log Santa’s for Christmas shop window dressing or displays.